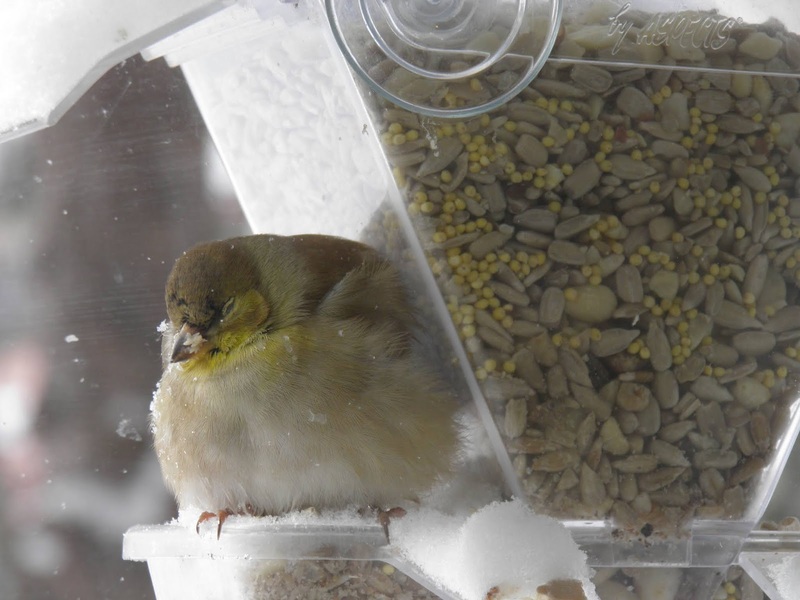 Advice from Nottingham Nature Nook Rehabilitation Center: "Fill your bird feeders as soon as they are empty! Leave wildlife food on the ground at the base of trees and refill heated birdbaths often! If you find animals or birds in trouble please bring them inside and give us a call! (517) 488-7451. All of the creatures here at the Nook Thank you!!!" I came in to the Wild Birds Unlimited store before light and saw a goldfinch sleeping on the window feeder. These extreme cold temperatures are hard on all the wildlife. 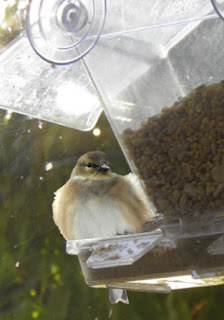 My finch woke up, when his friends arrived, had breakfast, and went on his way. If he didn't warm up I would have called for help. Holt, MI ♦ 517-694-9618 ♦ Carolyn Tropp ♦ Birds and mammals except raccoons. Wildlife Rehabilitation Information Directory http://wildliferehabinfo.org/.